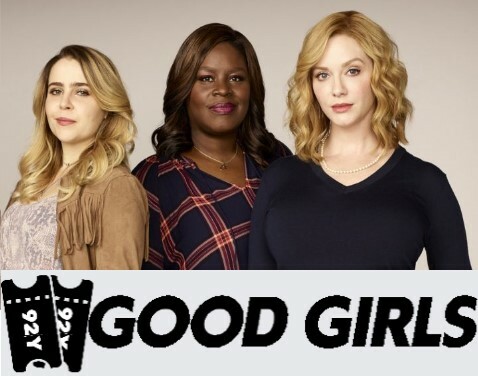 As we all eagerly await the premiere of Season 2 of Good Girls, (and rewatch our favourite episodes on Netflix!) lucky people in NYC have the chance to see Christina Hendricks, Retta and Mae Whitman spill gossip about working on the show as well as watch the first episode of Season 2! Since the second season doesn’t air on NBC until March 3rd, this is a big deal and an exciting opportunity for fans. Head to our Instagram to be in with a chance to win a pair of tickets to see the Good Girls cast! The titular Good Girls will be in conversation with Jessica Shaw from EW Morning Live and it is held at the Buttenweiser Hall at the 92 Y, on the NYC Upper East Side. Tickets start at $40 each and they can be bought online here at the 92Y website, along with more information on the event. Matthew Lillard Online has two tickets to give away, thanks to the 92Y! To be in with a chance to win the two tickets, head to our Instagram to comment and tag a friend you would go with. The winner of two tickets will be notified at 12pm noon on 24th January via Instagram. We think it’s a fantastic way for Matthew Lillard fans in New York, to celebrate his birthday as they can finally find out the outcome of THAT season 1 cliffhanger, and we for one, can’t wait! Looking at the venue for the Good Girls talk, it looks like it will shape up to be a really special evening at the 92Y and we hope fans take the opportunity to see the leads from our new favourite show onstage! If you do attend, be sure to let us know any fun tidbits the cast share without spoilers, if possible! You can find us on twitter at @mattlillardfans or on Instagram at matthewlillardonline.